A few years ago I read a comment left online by a teacher pleased with himself for his response to unsatisfactory work by a student. He tore the page out of their copybook, thereby displaying his dominance in the classroom and showing the student what happens when you submit work below expectations. It might be tempting to imagine this person as a member of the unfairly stereotyped older generation of educators who qualified at a time when classroom dynamics were far more strict, but no, it was a young man in his twenties. I'm not maligning this man. I don't know him and he may well have changed since then. But why in the first place did he feel the need to do that? Well, let's look at the dynamics. Anyone who has spent as much as five minutes teaching in a classroom knows that there is always some kind of power play going on. I've experienced it myself - students seeking to derail the lesson and to undermine the authority of the teacher. It's so commonplace it's a cliché in depictions of classrooms on screen. "Oh, kids have been doing that one since my day." But wait, what is the authority of the teacher? Our role is to educate the young people before us and help them to prepare for whatever big exams are coming up. Of course teachers deserve respect from their students, but so does everyone who does their job, and we (usually) afford them that respect. But how would you feel if you asked a shop assistant where something was only to be told to find it yourself? How would you respond to a bank clerk refusing to hear your case for a loan because you simply don't look like you deserve one? What would you say if you stopped someone in the street to ask for directions and they told you to stop talking to them? We don't tolerate rudeness from people, and we don't tolerate it from students, but as teachers, do we tolerate it in ourselves? Yes, teachers deserve respect from students but in every interaction we have in life we expect that the respect we show will be returned in kind. Why should young people expect any different? If we demand respect from our students without really giving anything in return, why should we get it? It is not simply our job to stand at the front of a classroom and recite facts, dates, names, figures, theorems, interpretations and quotations so that the people in front of us can recite out recitations on a piece of paper every June. It is our job to guide, to nurture, to foster, to help and to be available to do all of that. If a teacher's main concern is whether or not their students are respecting them, then what is their aim? 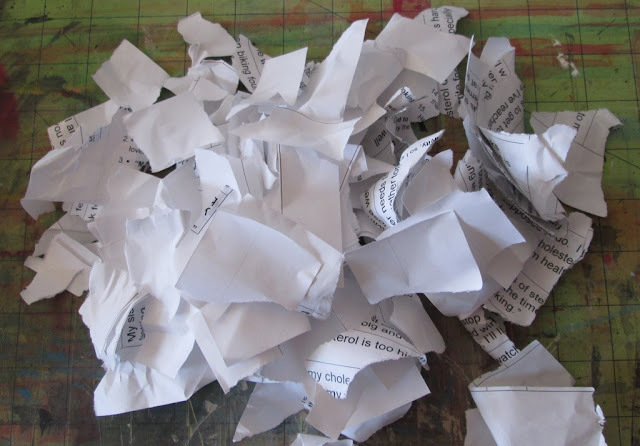 What is achieved by tearing a student's work out of their copy, even if it is below standard? Would you have reacted well if you were that student? The fact is, we do have a lot of power afforded to us automatically by our positions as teachers. But we are wrong if we think it is the power to stand there and be obeyed. Your real power comes through your interactions, no matter how minor. You have power through your reactions and responses, through your decisions and priorities. Sure, you have the power to teach John a lesson by ripping that work up. And it might feel good for a time, because you've shown him that you're not accepting that work and he has to do better. But ultimately, what does it achieve? John goes on to resent you, students find you unapproachable and you come across as a bit of a jackass. It's an astonishing waste of your true power as a teacher. One of the saddest moments in my time as a teacher came after a parent teacher pupil meeting night, years ago. I kept to the usual formula - open with something nice, voice concerns in the middle, and end on a positive note once more so that the meeting didn't end under a cloud. As it happened, one of my students had an older sister who was friends with my own sister. The day after the meeting my sister relayed what she had said: "Your brother was the only teacher who had anything nice to say about my brother." Again, I'm not maligning my then-colleagues - when you have dozens, even hundreds of students to see you can become tired and not want to beat around the bush, but even so, it's still a huge waste of power. I'm always wary of telling this story because it only ends up making me sound arrogant, but it hasn't left me and it really does serve to illustrate what our real power is. You have the power to help guide the young people in your care to understand the world around them better and to want to learn more about it. You have the power to show them that learning is an experience we all undertake together - not by absorbing all of your information from one stationary source at the front of the room, but by collaborating and discussing. Allowing students to direct their own learning might not always be possible due to the limitations of our curriculum, but there's nearly always some scope in which to do so. You have the power to show to that one student who acts out, disrupts the class and falls behind that they are just as important as everyone else and that you are willing to help them get to where they need to be. You have the power to show them that you're they're to help them, not order them. You have the power to show you care and to make a lasting impact. The power to make a positive difference to the life of even just one young person. With that much power at your disposal, why would you not use it?